The electrophysiological examination is to record the electrical phenomena of the visual pathway and to determine whether the path from the retina to the visual cortex is abnormal. There are the full-field flash electroretinogram (ERG), the multifocal electroretinogram (mfERG), the pattern electroretinogram (pattern ERG or PERG), the electrooculogram (EOG), and the cortical-derived visual evoked potential (VEP). There was a lot of confusion in the interpretation of the results due to the difference in the examination environment and setting depending on the model or laboratory. 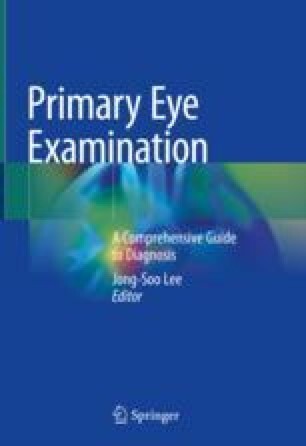 Recently, the International Society of Clinical Electrophysiology for Vision (ISCEV) has provided standards for the electrophysiological examinations of the machine, the measurement method, and the interpretation and makes the examination and the reading improved in the area of ophthalmology. This chapter focuses on specific testing methods. Detailed specifications for each procedure may be found in the appropriate ISCEV standards in the homepage of www.iscev.org.